I have to admit that I am a pretty picky reader when it comes to fiction. Mostly, I read realistic fiction but when survival and remote locations are involved I can be coaxed into giving a wider-range of stories a try. 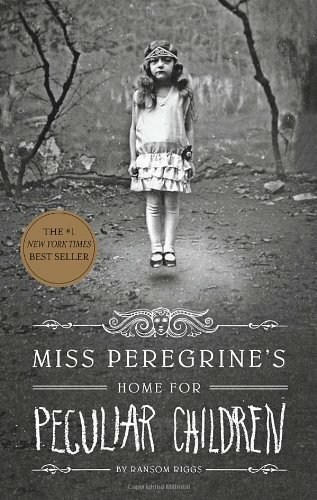 So, when a friend’s sixteen year-old daughter recommended Miss Peregrine’s Home for Peculiar Children by Ransom Riggs, I gave it try. In short, this book really operates outside of the box, using authentic, vintage photographs that the author has collected at flea markets to help drive and shape the story and the characters. I liked the book so much that now I’m almost finished reading the sequel, Hollow City, and it is just as good as the first book. Please note that these books are not classified as middle grade novels. Really, in my opinion, they defy classification in a good way. The plot is twisty and page-turning, and the photos included match the well-developed, unique characters the author has created. In terms of choosing these books for a middle grade audience, I would say upper middle grade would be as young as I would go, and then it would depend on how individual readers react to potentially scary stories. I’m curious what others think who have read one or both of these books in terms of recommending them for specific age groups, something I’m not an expert at. If you have thoughts, please leave them below. I totally recommend these books both for a great read and for a fresh look at story-telling technique. To top it off, the movie of the first book is due out in 2015. Thanks for the recommendations, Paul! I had book1 on my TBR pile for so long that finally the library called, demanding it be returned. Not sure why I wasn't tempted to dive right in. You know,with the movie coming up, there's bound to be renewed interest, and it will become a bestselling bestseller. Yes, and the movie should be pretty interesting with a sizable cast of young actors and actresses. I read last year. Incredibly clever. 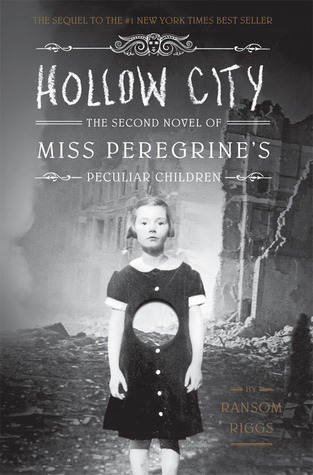 The follow-up, "Hollow City" is just as clever. I'm pretty sure these are sold as teen/YA, but I agree there's nothing in them (at least the first one) that wouldn't be okay for MG readers. The photo angle (the photos are all real) is also pretty dang cool. Yes, I can't really imagine the story without the photos. They really provide a connection. As a reader I didn't just glance at them, I studied them. I haven't bought the series yet but I've had the thought in the back of my mind.